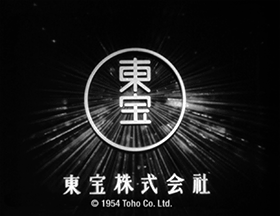 screenplay by Akira Kurosawa (1910-1998), Shinobu Hashimoto (1918- ) and Hideo Oguni (1904-1996). Seven Samurai was Kurosawa's first foray into the samurai genre and is based upon a story he came across about samurai defending farmers while doing his period research. The script originally called for six samurai, but was re-written to enliven the tale by adding a prankster - the ex-farmer posing as a samurai - played by Toshiro Mifune. Hashimoto had been co-writing with Kurosawa since Rashomon (1950) and Oguni, already a veteran screenwriter with more than 60 screenplays to his credit, joined the writing team for Ikiru (1952). Seven Samurai was the team's second writing effort. Akira Kurosawa's homeric story of a band of samurai that defends a small village against marauders in the waning days of the feudal warlord era is not only a genre classic, but also influenced many Westerns decades later. Toho executives were so furious with Kurosawa for his cost overruns (400% of budget) and shooting time (148 days) that they twice shut down production. An avid fisherman, Kurosawa would disappear to his favorite stream until the studio relented and allowed him to continue filming.